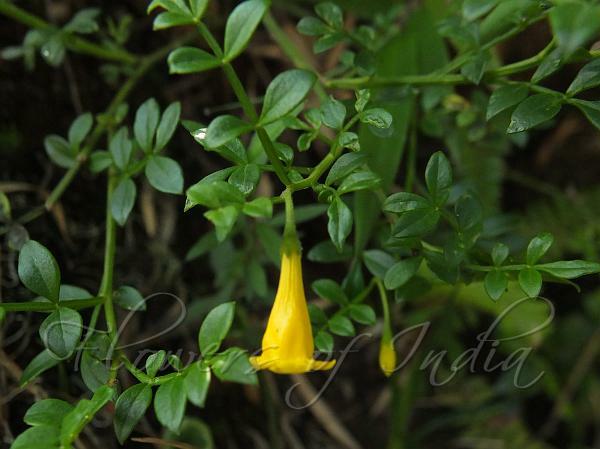 Trumpet Jasmine is an erect shrub with angular branches. Branchlets are shallowly-angled from the base of two leaves above. Flowers are borne in cymes, opposite to the leaves, bright yellow, trumpet shaped. Fruiting from June onwards. Leaves are compound, with elliptic leaflets with pointed tips and margins entire. Fruit is a berry, spherical, black when ripe. Seed 1. 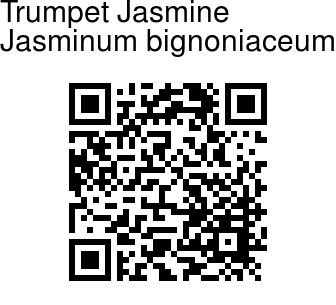 Trumpet Jasmine is found in Western Ghats. Flowering: April-May.